A California man accused of torturing many of his 13 children has pleaded not guilty to lying on government forms about their schooling. 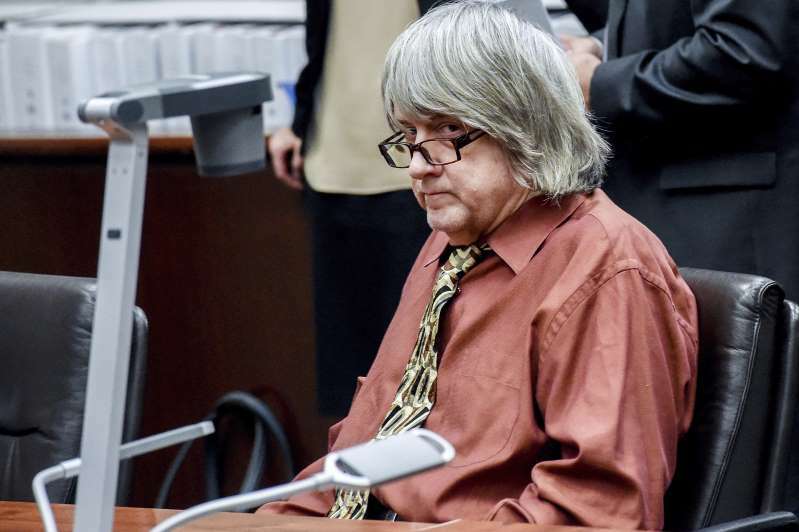 David Turpin entered the pleas Friday in a Riverside courtroom to eight counts of perjury. His wife Louise pleaded not guilty to three charges of false imprisonment and one of assault. The couple previously pleaded not guilty to torture, abuse and other charges. They are each being held on $12 million bail. The couple was arrested after a daughter escaped from their Perris home in January and called 911. Authorities say children in the home were starved and allowed to do little except write in journals. The children ranged in age from 2 to 29. Prosecutors say David Turpin filled out forms yearly saying the children were receiving a full-time education in a private day school.